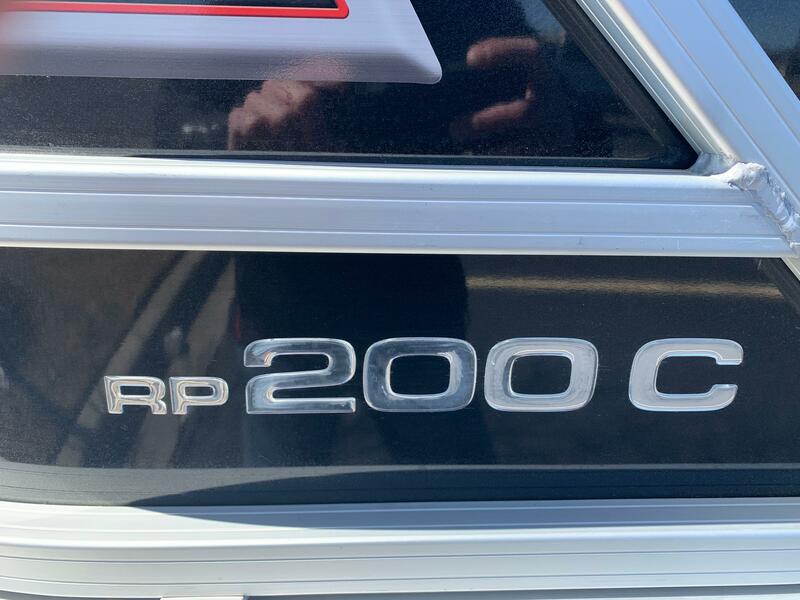 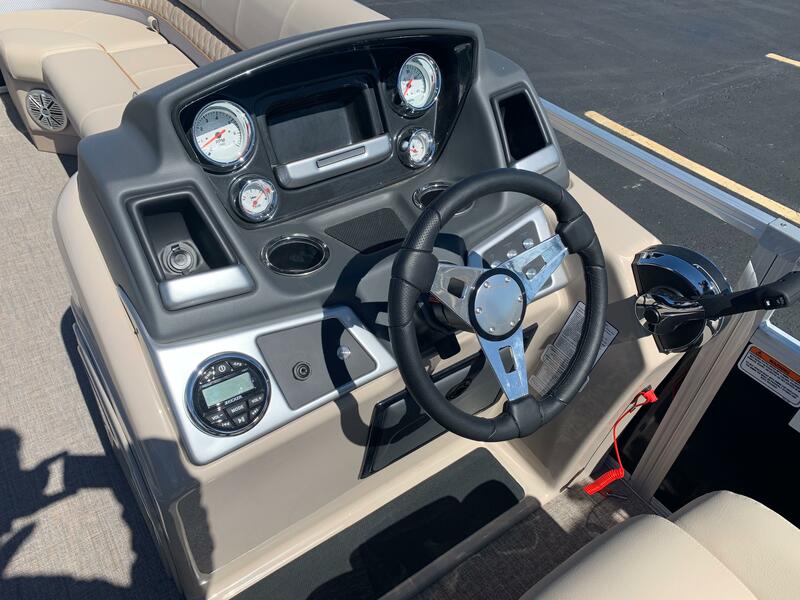 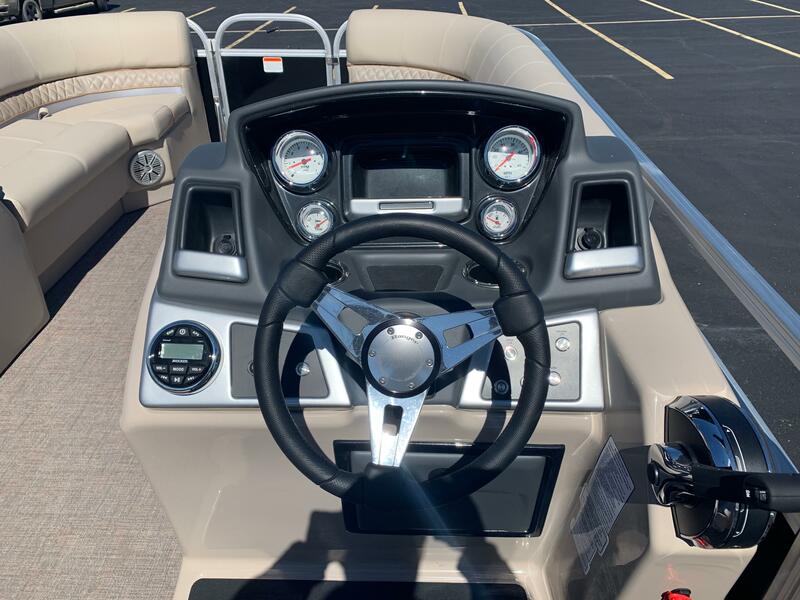 2019 Ranger Reata 200c cruise series. 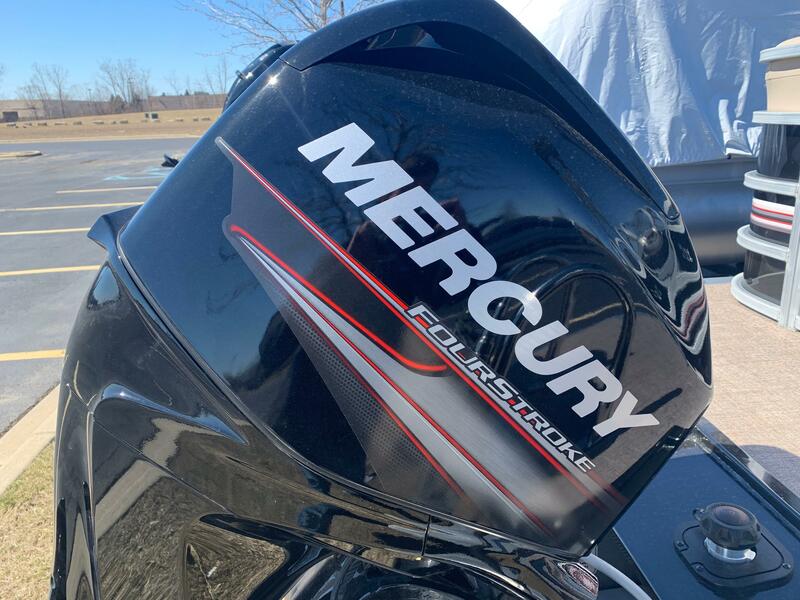 Price shown is with a 25hp Mercury. 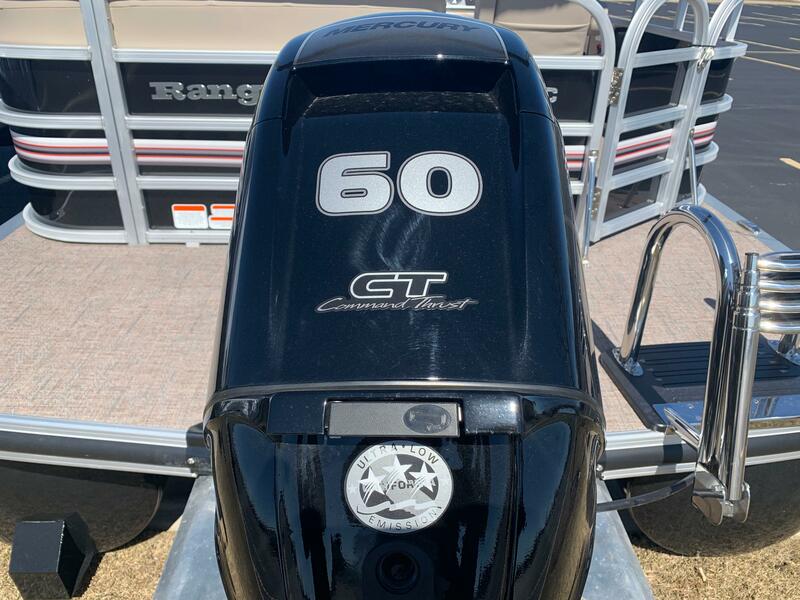 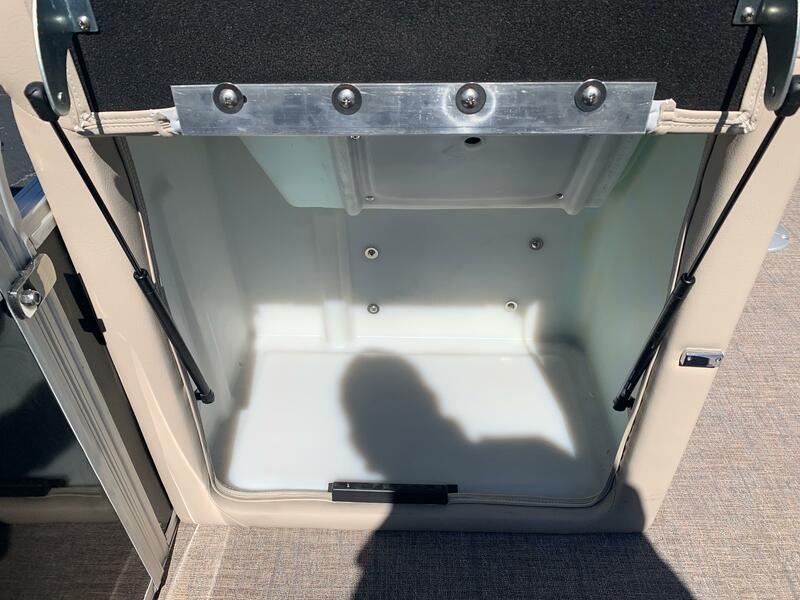 Our stock boat is powered with a Mercury 60HP Command Thrust Four Stroke outboard, and has the left tan changing room kit, it is priced at $24,570 plus freight and prep. 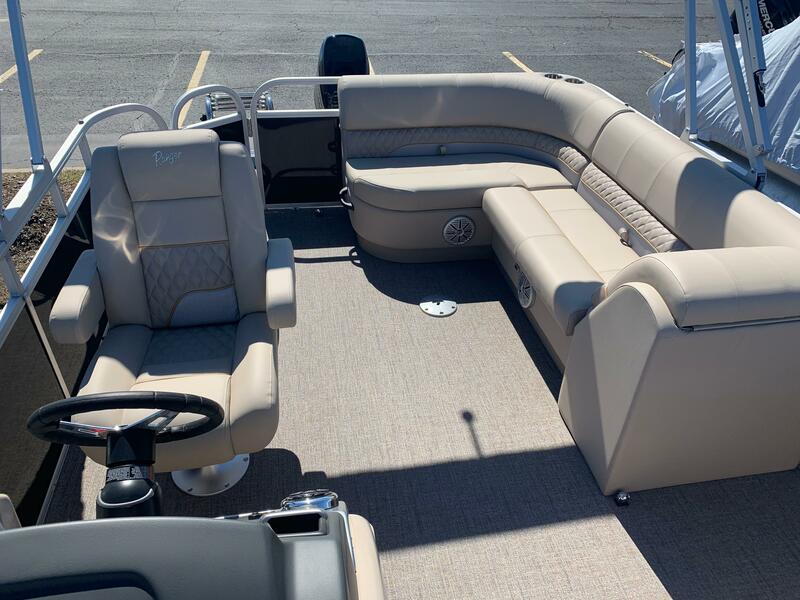 Stop by the marina or call us for details. 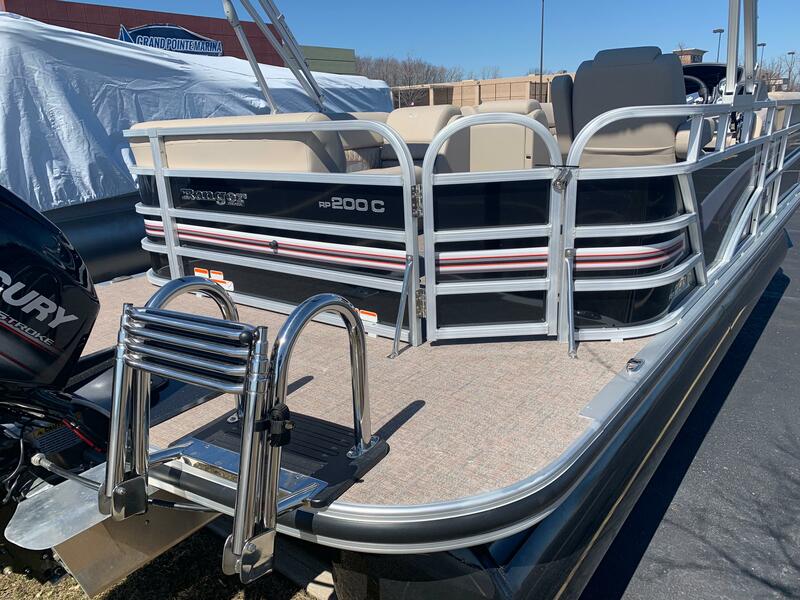 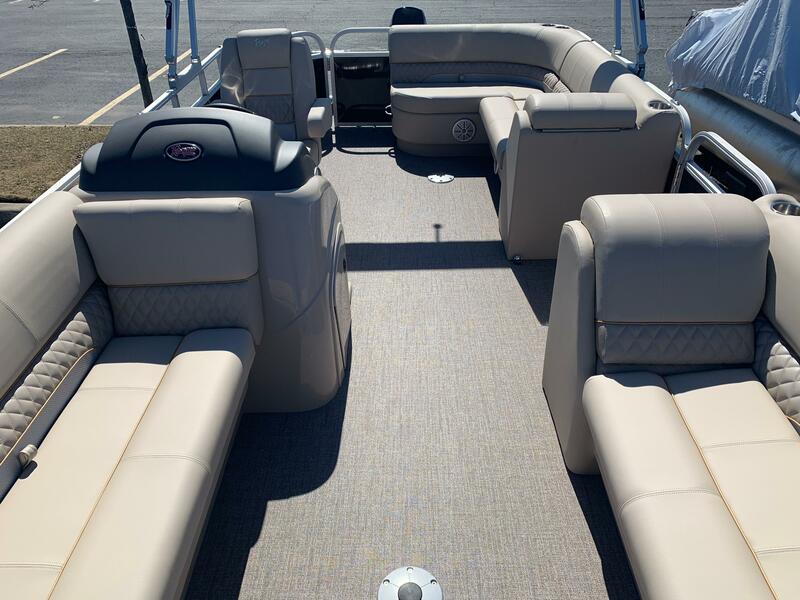 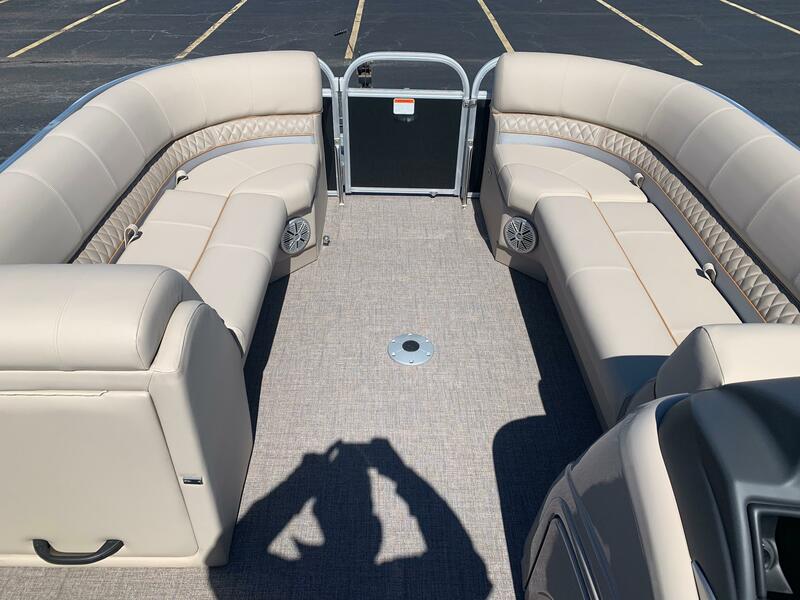 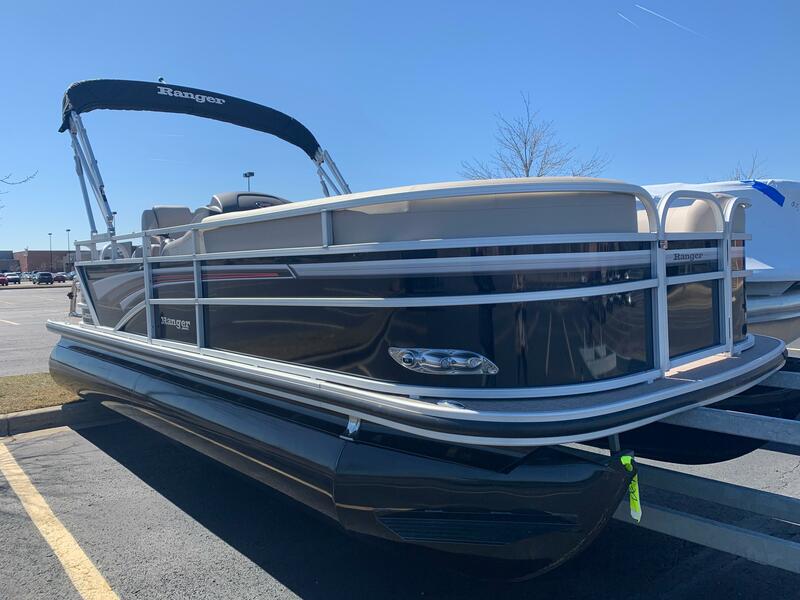 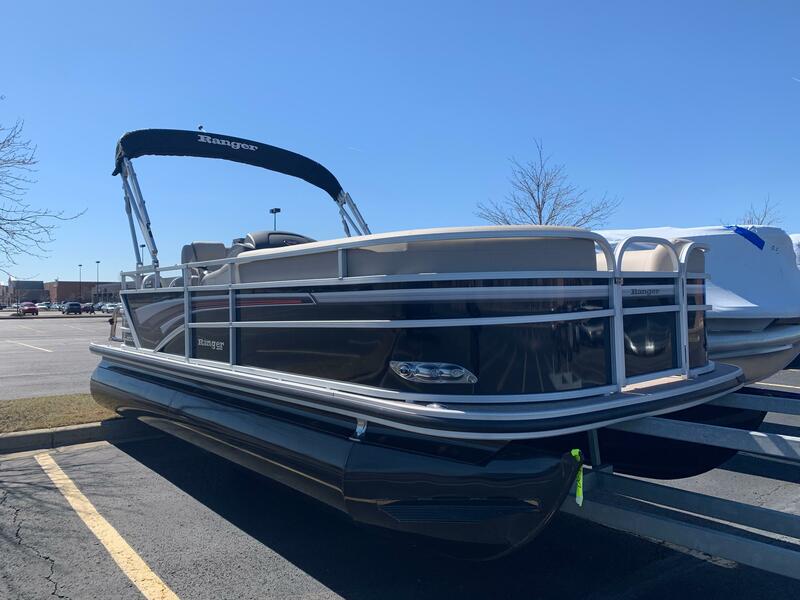 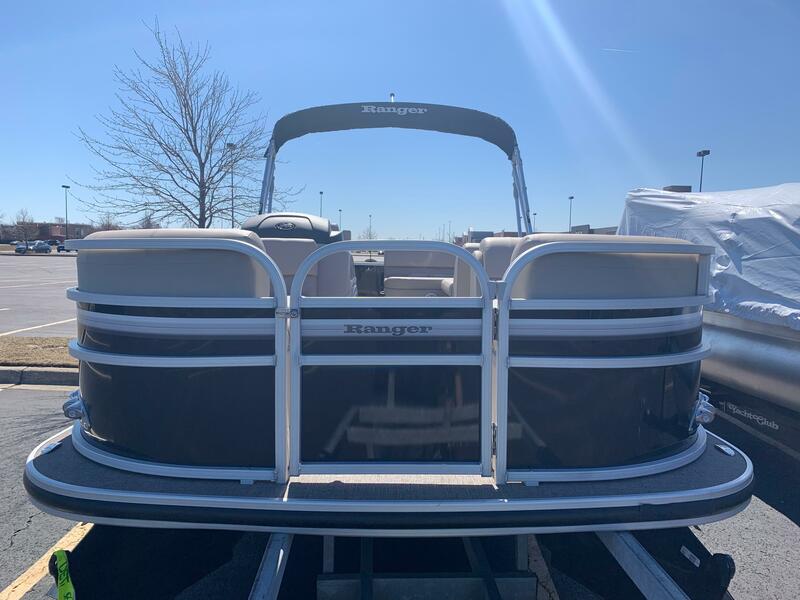 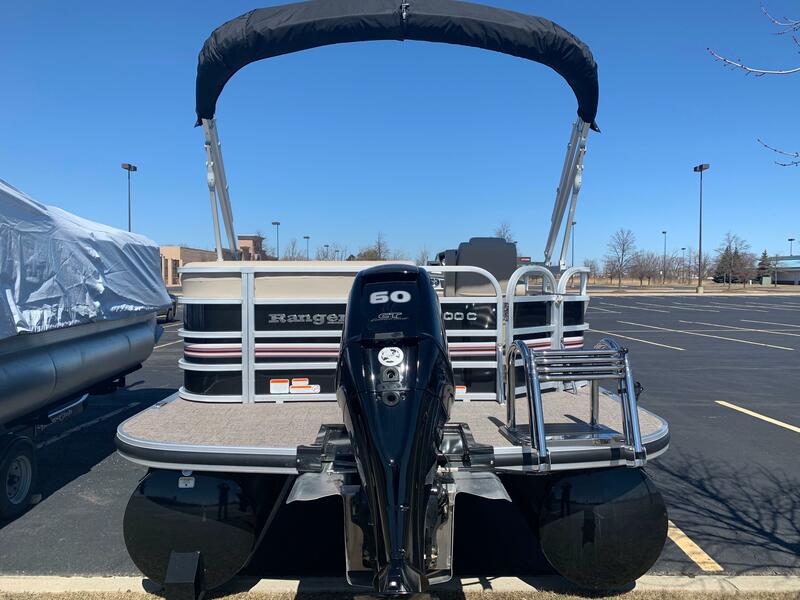 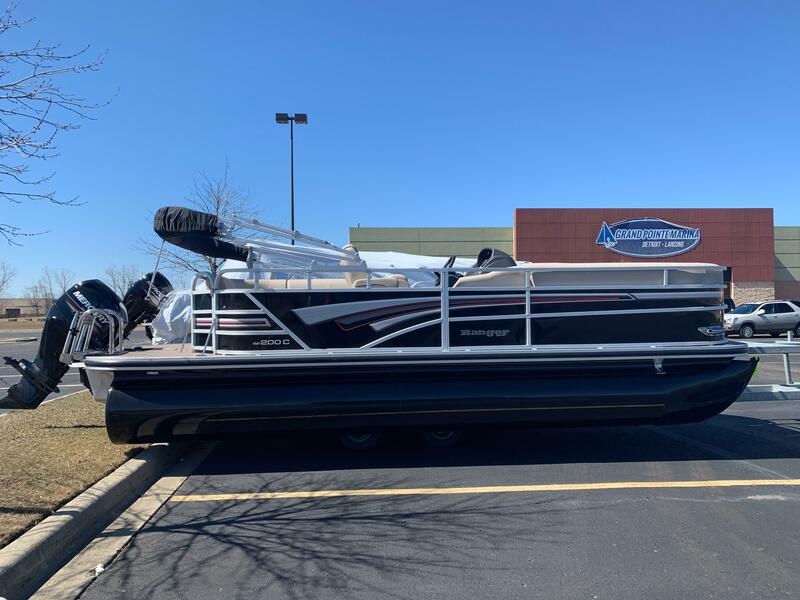 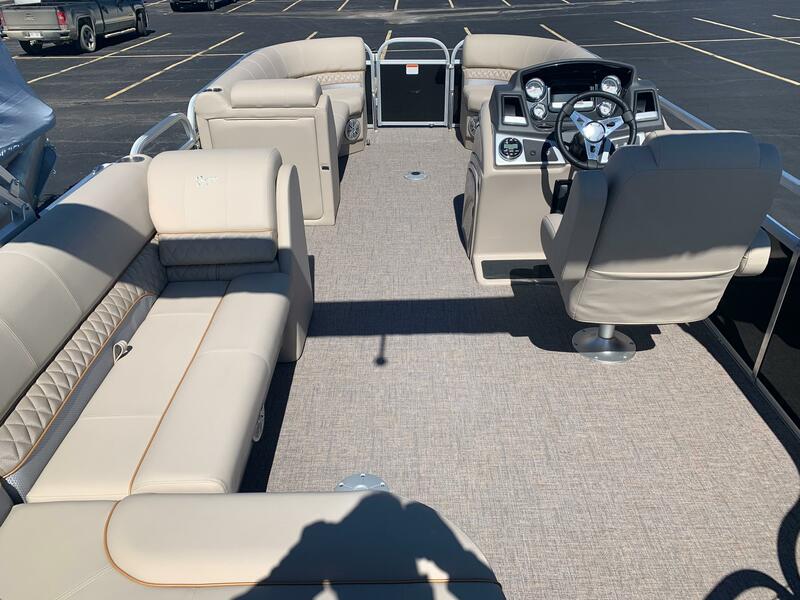 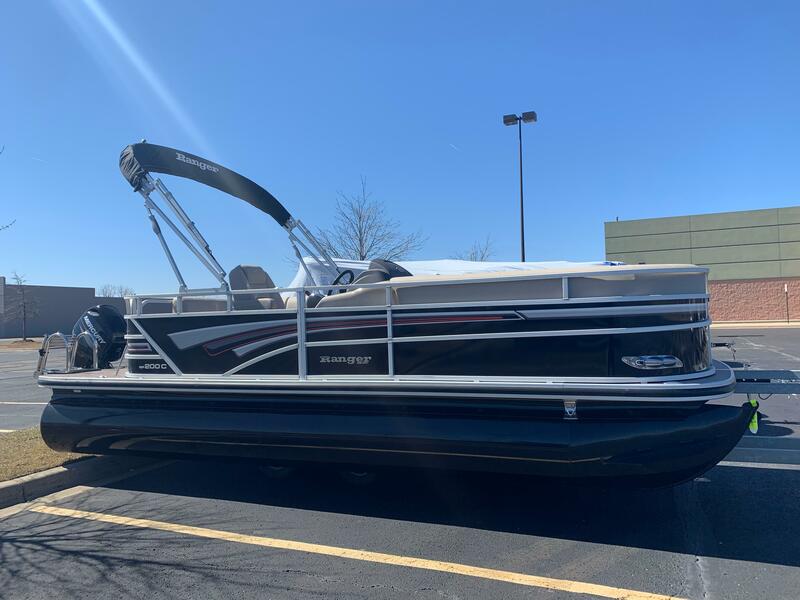 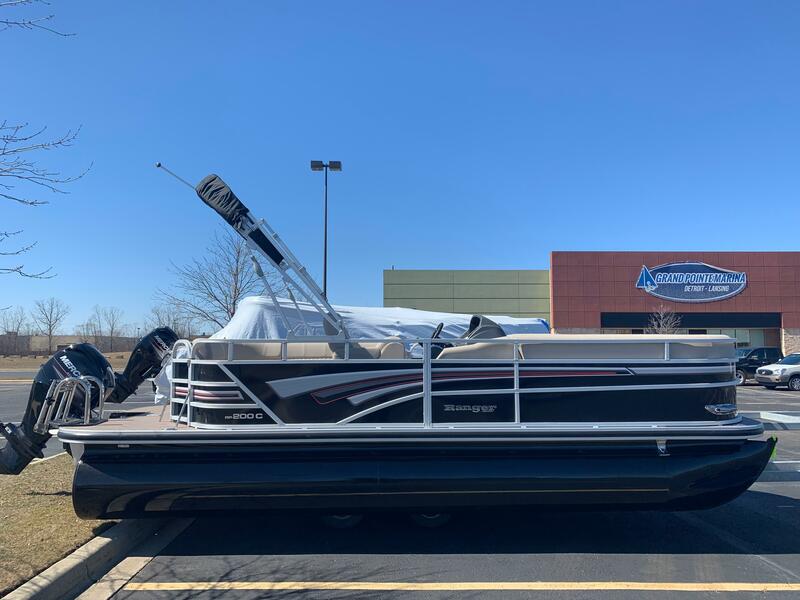 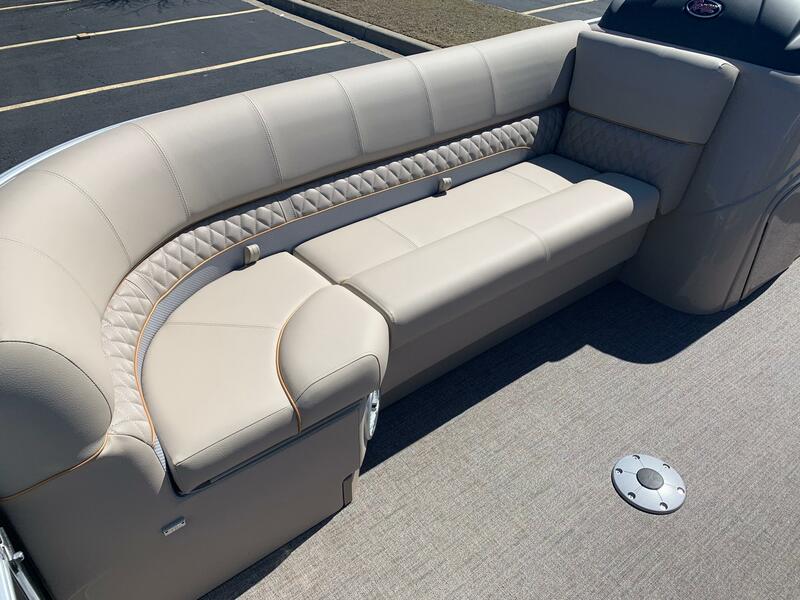 The most compact Ranger® Reata® Cruise Series pontoon is certain to make big waves with families and lake lovers with its attractive price, wide-open layout and full roster of features. 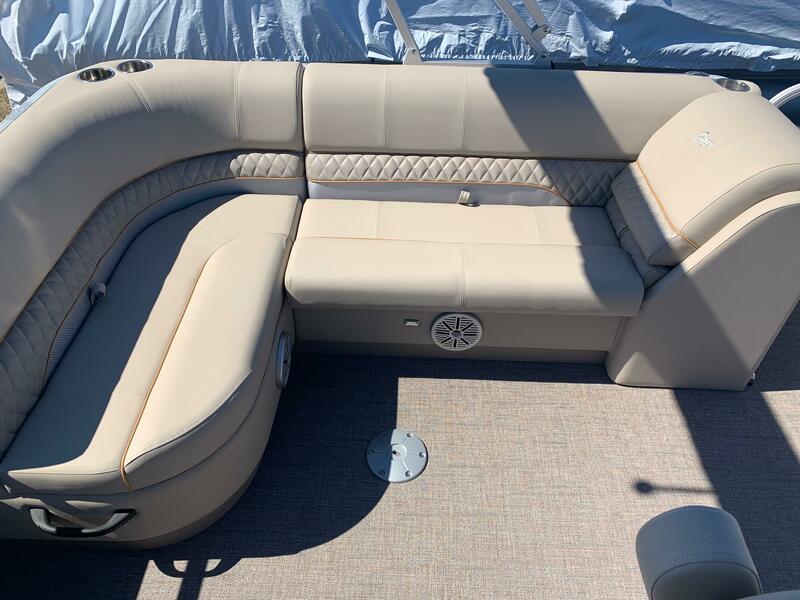 From bow to stern, the seats are designed for attractive functionality and comfort with drained storage beneath each cushion. 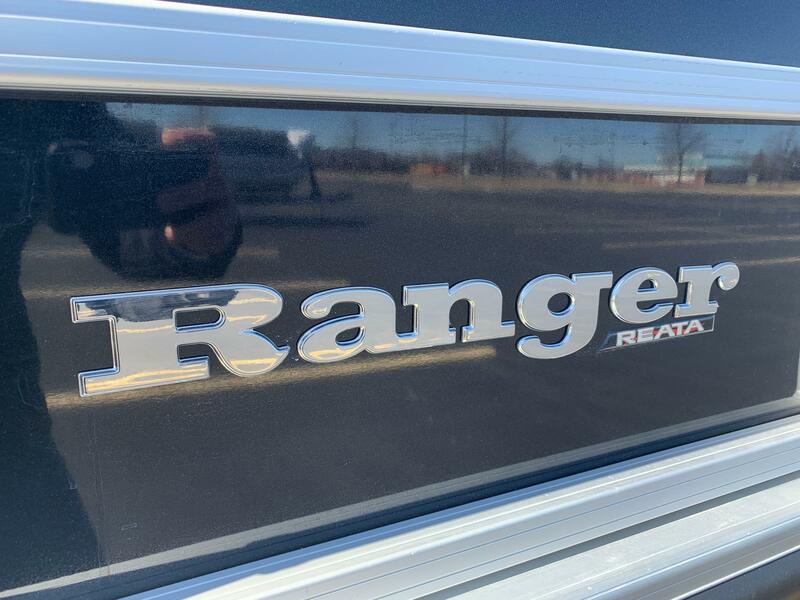 Spirited performance is delivered by way of a 90-horsepower rating and powder coated logs with Ranger Rapid Rise? 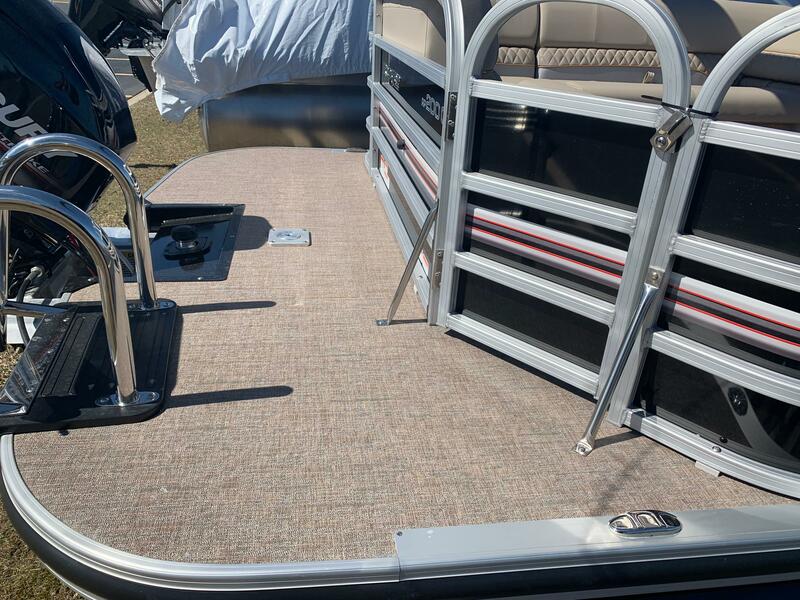 strakes. 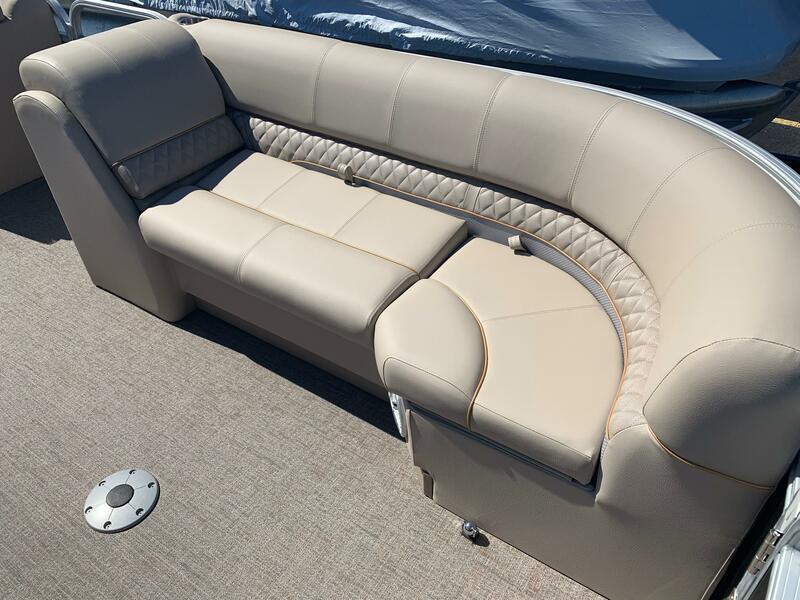 The fiberglass console delivers a commanding feel with pinpoint steering, a built-in footrest and storage within. 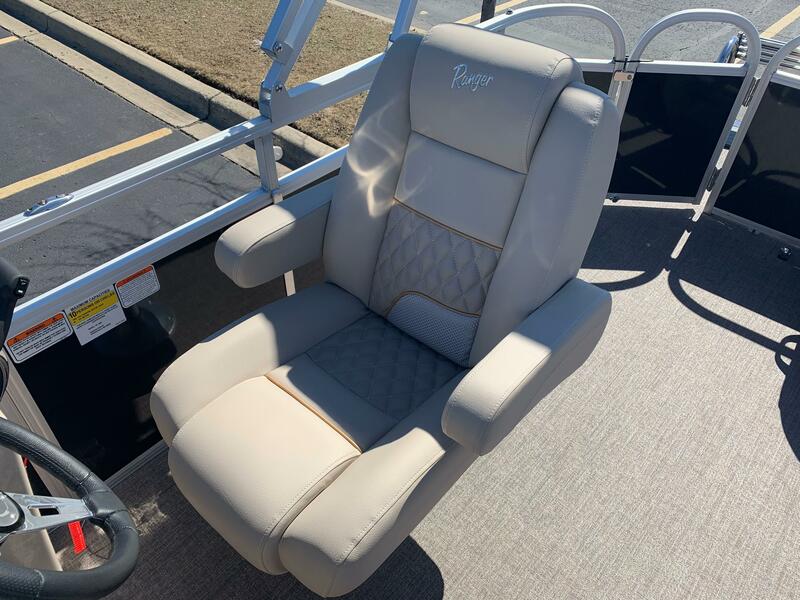 With so many strengths and advantages, you can be certain that relaxation comes standard.